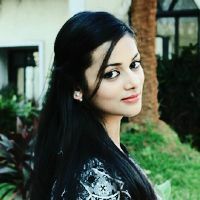 Check out the most updated and latest information about Kajol Srivastav's on the Internet.Kajol Srivastav has over 16 Fans registered on India-Forums.com. We have 12 Television News articles related to Kajol Srivastav.Do share your criticism, comments and feedback for the Actor on Kajol Srivastav's comments page. Loving you as Vaidehi in Sasural Simar Ka. Wish you all the best 4future. Hope you get a good role and show soon. Hope to see u in a good role and in a better show after CAS.Hope u achieve lot of success in ur career. U r truly pretty and a wonderful actress.After pallavi, u r truly the soul of the show alongwith mohit. Loving you so much as Devi . You are pretty and perfect .